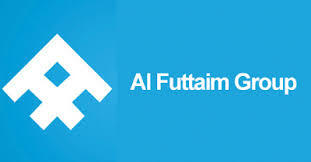 Al Futtaim Group brings the quality and reputation of more than 200 companies into your life. Al-Futtaim’s 42,000 dedicated employees are committed to helping you make the right choice – no matter your location or need – in sectors as varied as automotive, retail, real estate and finance. Al-Futtaim is present in 31 countries, enhancing and enriching the lives of millions every day. From our home in the United Arab Emirates, we have extended our corporate family across the Middle East and into Africa, Australasia, Europe, South Asia and Southeast Asia. At Al-Futtaim, we recognise that investing in our people is the most important investment we will ever make, and the best way to ensure we achieve our business goals together. We have come a long way and to grow in today’s competitive and ever changing global economy, we have set our sights and standards high – and seek to exceed them. Our strength is in our diversity; in the 100+ nationalities that make up our workforce, in the vast portfolio of international brands that we represent, and the many countries that we now operate in.